Got a NEW Computer? Are you NEW to Computing? NEW to the Internet? NEWBIEism CAN be cured! Come see us at SCUG. Our Motto is "User Helping User." Why re-invent the wheel? Collectively, we've made more mistakes than you can dream of. But, we've learned from them and we try to share our experiences with each other so that we don't have to make the same ones over and over. This frees us up to make new and even more advanced mistakes! We usually meet the 2nd Saturday of every month. Our monthly meetings are held at the Whiteside County Senior Center located at 1207 West 9th Street, Sterling, IL (see Map). We meet from 1:00 p.m. - 4:00 p.m. (see 2019 Meeting Dates for exact dates). We usually begin with our pre-meeting Windows instruction from 1:00 p.m. to 2:00 p.m. (We sit around a computer and discuss and try and answer any computer questions our members may have.) At 2:00 p.m. we have a short business meeting usually followed by a presentation on computer or technology related subjects. We also have a monthly Newsletter with articles on things of interest to our members. 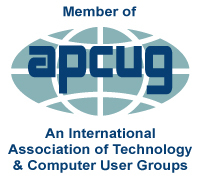 The Sauk Computer User Group ("SCUG" for short) is a registered, not-for-profit group whose goal is to promote the use and understanding of personal computers through discussion and exchange of ideas and resources. We are here to help you with any problem you may have or can give you the information you need to make the use of your computer or other tech gear, an enjoyable experience. The club can supply you with technical assistance from club members who have experience (and experiences) similar to yours. We meet once a month (usually the second Saturday of each month at 1:00 p.m.) at the Whiteside County Senior Center. Continuing our tradition of "Computer users helping computer users"